Extremely bad news for Ford Falcon fans this week: Ford has announced still more cuts in reaction to the continuing drop in market share in Australia. Given special funding by the Australian Government, the Falcon will continue to be built locally until 2016. But the ramification of the falling market share is that it is now even more likely that the next Falcon will simply be a re-badged Ford Taurus on the next generation platform (believed to be a stretched Mondeo/Fusion). 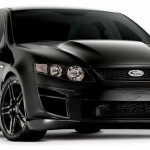 This would more directly address the direction of the Australian market, which of course is good for Ford of Australia. But it also has ramifications for the future of the Ford Mustang platform: not only whether or not the Falcon would share the 2015 Mustang IRS suspension (and thus reduce costs) but whether a unified and more modern platform could be developed for both products in the longer term. Without the benefits of cost sharing the Mustang platform would otherwise be destined to remain an “orphan”, not part of the One Ford strategy, and therefore constrained (yet again) by very narrow development budgets. (Reuters) – Ford Motor Co’s Australian unit will announce plans later on Tuesday to cut up to 440 jobs at two production plants in Melbourne and nearby Geelong in Victoria state, a spokeswoman said. The company was still talking with workers ahead of the announcement, she said. Ford, which has more than 3,000 employees in Australia, in January secured more than A$34 million ($35 million)in funding from state and federal governments to guarantee local production until 2016. Australian car manufacturers have enjoyed solid sales over the past year despite a subdued economy, although Ford’s sales have lagged, according to the Australian Federal Chamber of Automotive Industries. Ford’s market share slipped to fifth place or 7.9 percent for the year to June, compared with 9.1 percent a year earlier, the chamber’s industry figures showed. Sales of its top model, the Falcon, have fallen sharply. Ford trailed Toyota, General Motors Holden unit, Mazda and Hyundai. Australian car makers have also lost market share as sales of imports have surged, aided by the strong Australian dollar. In April, Toyota Motor Corp cut 350 jobs from its manufacturing plant in Melbourne. ($1 = 0.9770 Australian dollars) (Reporting by Victoria Thieberger; Editing by Richard Pullin).